Hot Toys has revealed the first complete set of photos for one of their collectible figures for the upcoming Guardians of the Galaxy Vol. 2 with Rocket! 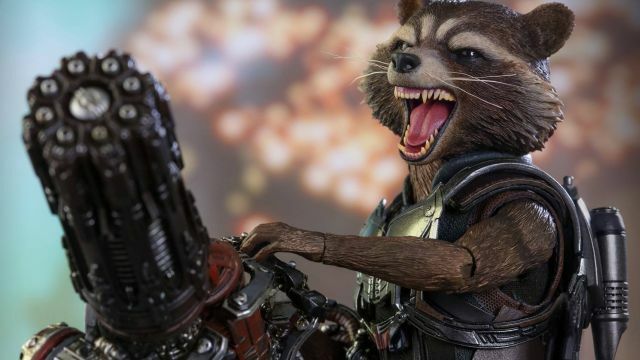 Available in standard and a deluxe version, you can check out the Rocket Raccoon Hot Toy in the gallery below! Expertly crafted based on the character’s appearance in Guardians of the Galaxy Vol. 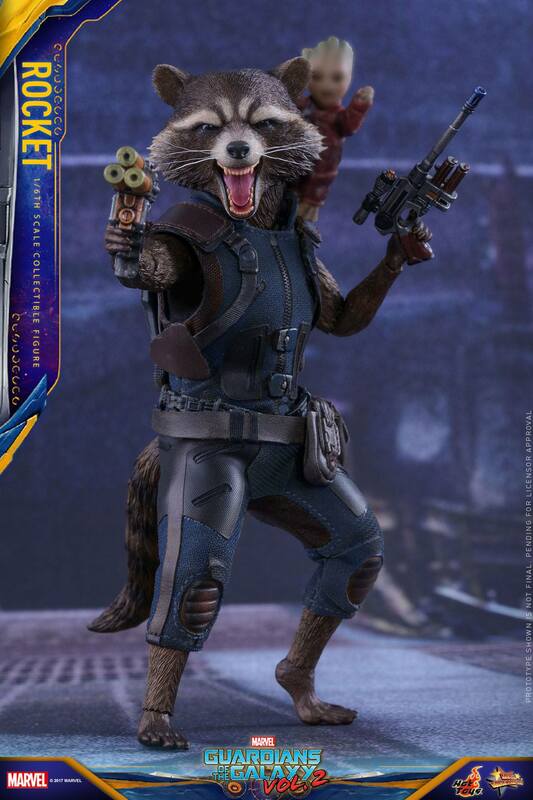 2, the movie-accurate Rocket figure features a finely sculpted head portraying his roaring expression, tailored combat suit, detailed jetpack and weapons, interchangeable hands and feet, a non-articulated miniature Baby Groot that can be placed on his shoulder, and a dynamic figure stand designed with Rocket’s unique stature in mind and ideal for aerial poses.